FOR IMMEDIATE RELEASE: Lewiston, Maine (March 24, 2016) – New England Fights (NEF), America’s number-one regional fight promotion, will hold its next event, “NEF 22: ALL ROADS LEAD HERE” on Saturday, April 23, 2016 at the Androscoggin Bank Colisée in Lewiston, Maine. The fight card will feature a mix of mixed-martial-arts (MMA) and professional boxing bouts. Earlier today, NEF announced the addition of a professional welterweight bout to the MMA portion of the “NEF 22” fight card. Jarod “Last Minute” Lawton (4-2) returns to the NEF cage to face Aaron Aschendorf (2-2) at a fight weight of 170-pounds. 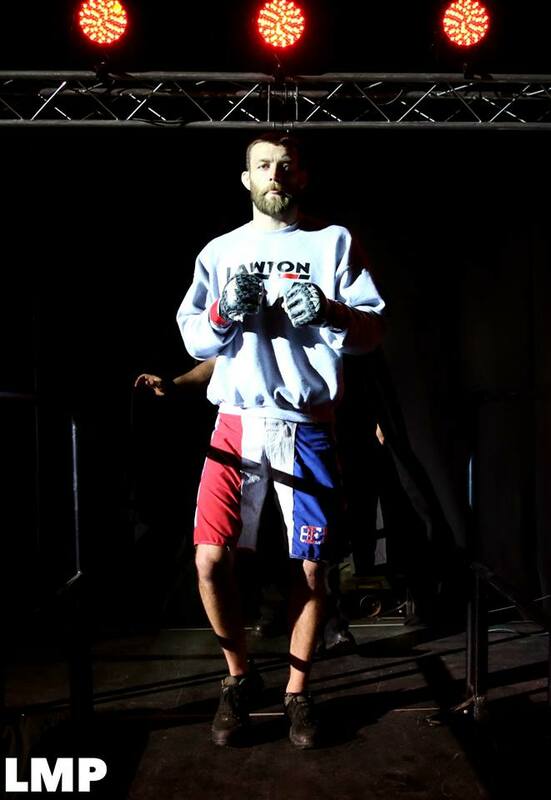 One of the true stars of the NEF roster, Jarod Lawton last appeared for the promotion a year ago at “NEF 17.” That night, Lawton lost a split decision to Bellator veteran Dennis Olson (14-11) after three rounds of a brutal, physical battle. It was Lawton’s first loss in the cage in three years. Lawton holds a black belt in Brazilian Jiu-Jitsu (BJJ). Along with his wife, Marcela Sorentino Lawton, he is the co-owner of Team Lawton Martial Arts and Innovative Athletics – a team New England United (NEU) affiliate based in Farmingdale, Maine. With a reputation for pulling out late-fight submission victories, Lawton says that he will be looking for the finish against Aschendorf on April 23. Aaron Aschendorf is a member of the Atlantic Beach Combat Club based out of Atlantic Beach, Florida. He began actively competing in the sport of MMA in 2004. After a four year break, Aschendorf returned to the cage this past fall for House of Fame MMA in Jacksonville, Florida. He is clear that he plans on coming in aggressive against Lawton when he makes the trip to Maine next month.